I loved how flowy these trousers were. 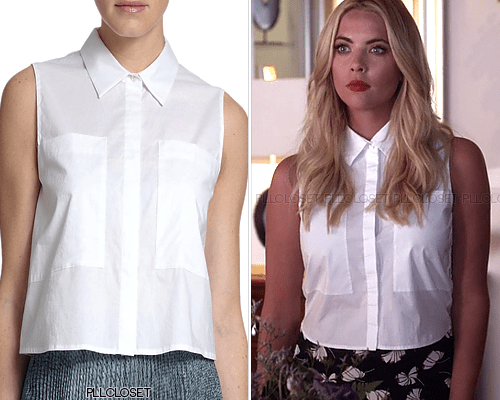 The pants were very boho, but Hanna made it more preppy with a collared crop top and a blazer. I also really liked this crisp collared top. Hanna is definitely embracing her career and it’s clear with her fashion this season. Aria’s style is a little more understated this season. She’s still wearing moto jackets, but she’s wearing them in pastels and grays instead. 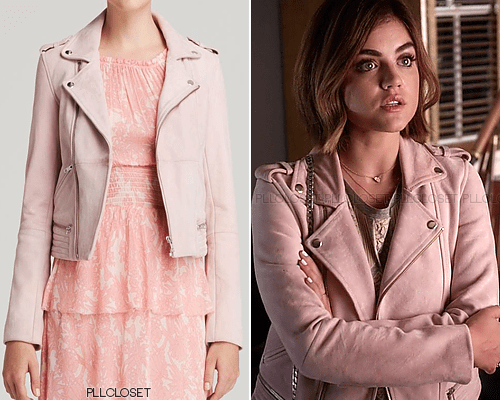 This leather jacket is classic Aria, and I love the color. It softens the look. This romper made me want the spring to come because I really liked the structure of this piece. 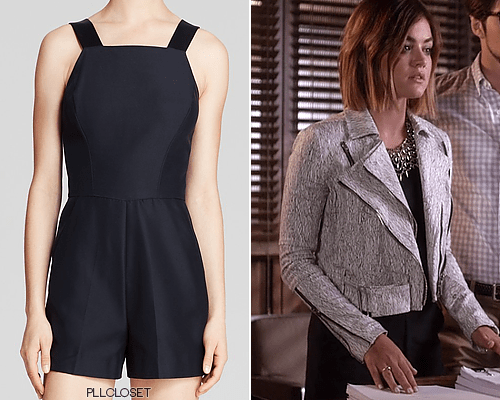 I can see Hanna wearing this too, but Aria makes it more her style by wearing a textured jacket and a statement necklace.